Its wasn't long ago when the German car industry was still laughing out loud about Elon Musk and his Tesla Motors electric car company. The proud makers of the world's top-selling luxury brands such as Mercedes, BMW, Audi and Porsche could not fathom how a small-time, loss-making upstart from California could ever compete with the giants of the industry that had a century and a half of experience and expertise. In November, a former Daimler chairman, Edzard Reuter, even called Tesla "a joke that can't be taken seriously compared to the great car companies of Germany" and dismissed Musk as a "pretender." But the patronizing laughter came to a screeching halt after more than 325,000 buyers from around the world lined up to put down $1,000 reservations to order Tesla's Model 3 in the first week — even though the company's electric car for the masses, priced from $35,000, won't go into production for another 18 months. 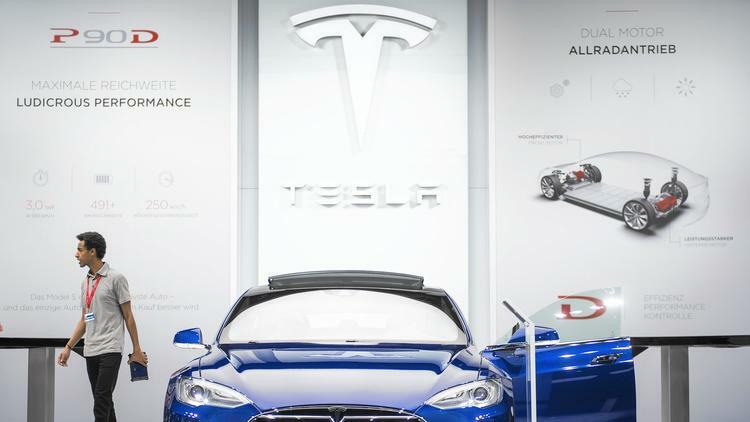 Some in Germany are now, rather belatedly, seeing Tesla as a long-term threat to the pride and joy of the country's economy: the car industry that employs 750,000 workers and indirectly accounts for 1 in 8 jobs.